TDK has launched a new pair of wireless headphones, the TDK TH-WR700 Wireless Headphones, which surprisingly don’t use Bluetooth. 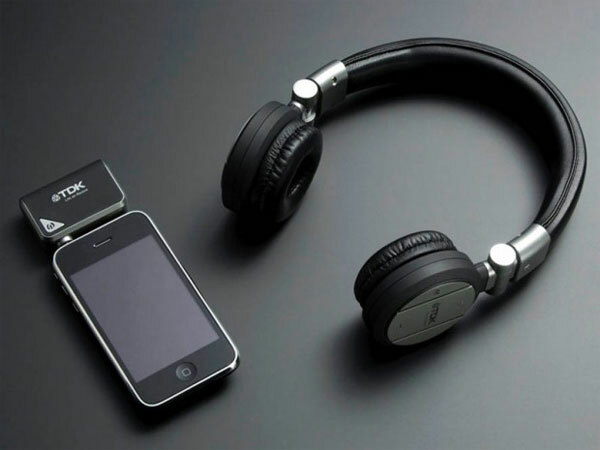 Rather than transmitting the sound from your iPhone or mobile phone via Bluetooth, the TDK TH-WR700 use Kleer technology and a wireless dongle that plugs into your iPhone’s or iPod’s audio jack. According to TDK Bluetooth isn’t capable of handling high fidelity audio, hence why they have used the Kleer technology and a wireless dongle which is designed to provide a much better sound. The TDK TH-WR700 Wireless Headphones will be available in Japan from next month four about $200. There are no details as yet on when we are likely to see the TDK TH-WR700 in the US and Europe.